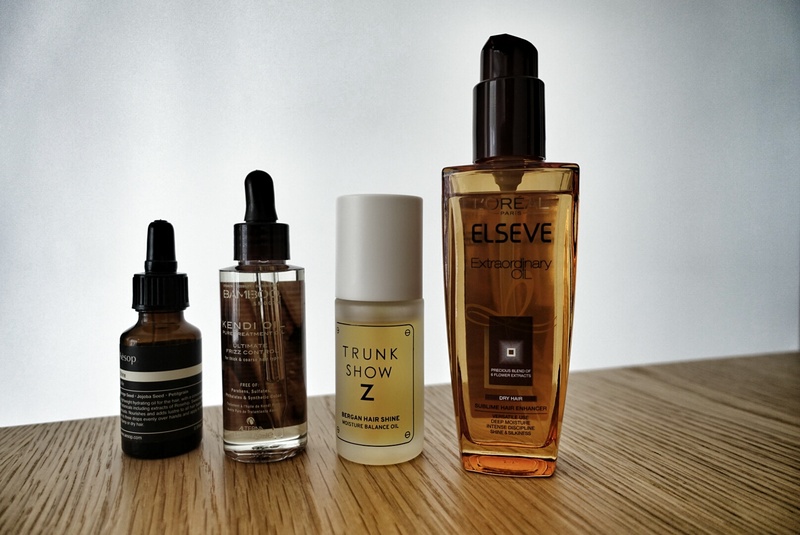 Once you know how to use them, you’d probably not go for another regular serum. 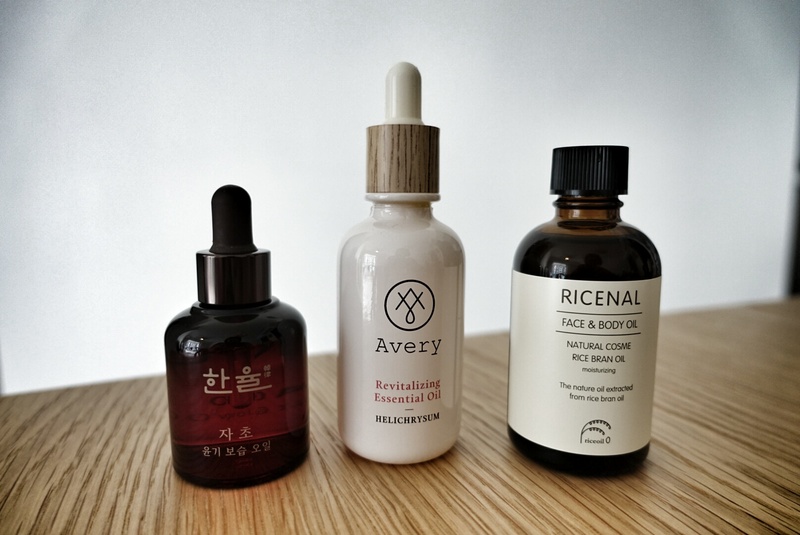 Many are made with natural ingredients and nourish the skin and hair deeper than most serums and creams. The thicker ones should be used at night, alone, and on clean skin. The medium viscosity ones can be blended with foundations to make them more moisturising. Super light dry oils can be layered under moisturisers. A few drops are all you need. Warm oil between palms and press onto the face. 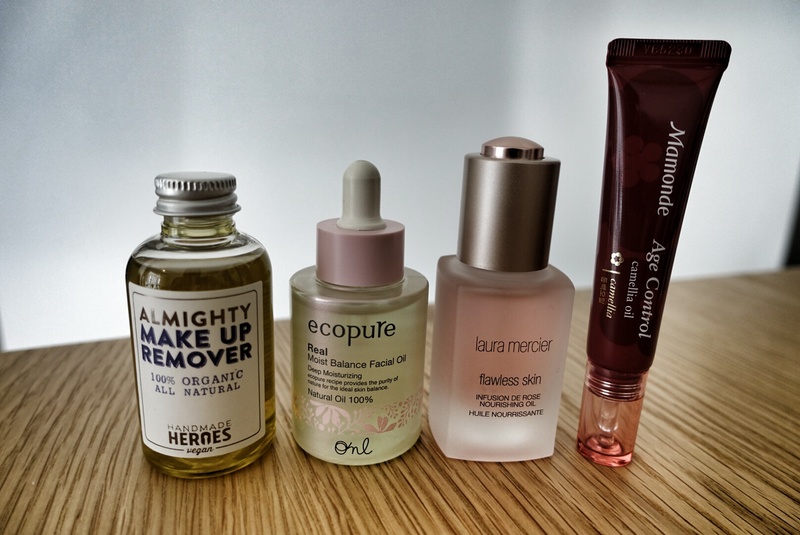 Here are some of the brands and types of oils to look out for. L’Oreal Paris Elseve Extraordinary Oil is a favourite. It keeps my flyaways and awkward curls in order. Deeply moisturising too. I love Aesop Shine for its deep, earthy scent. You can even use a drop on the cuticles. I got Trunk Show Z at Bellport in Seoul. The oil is very thick but good for the hair in harsh weather. 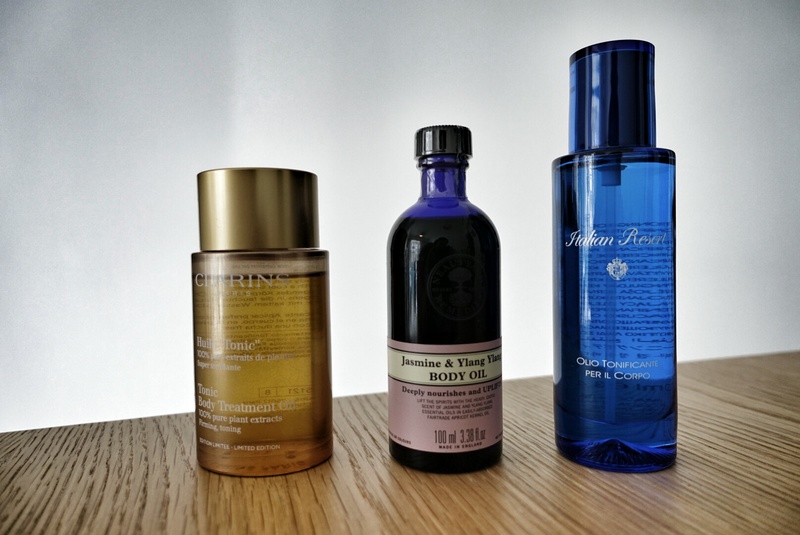 Clarins’ Tonic Body Treatment Oil is a classic fave. Pampering, nourishing and smells great. I apply it before bed to wind down. Acqua Di Parma’s is lightweight; great for adding a sheen on skin on beach holidays. Neal’s Yard’s is a sensuous concoction. These are infused with anti-ageing ingredients, and come in a very thin texture. 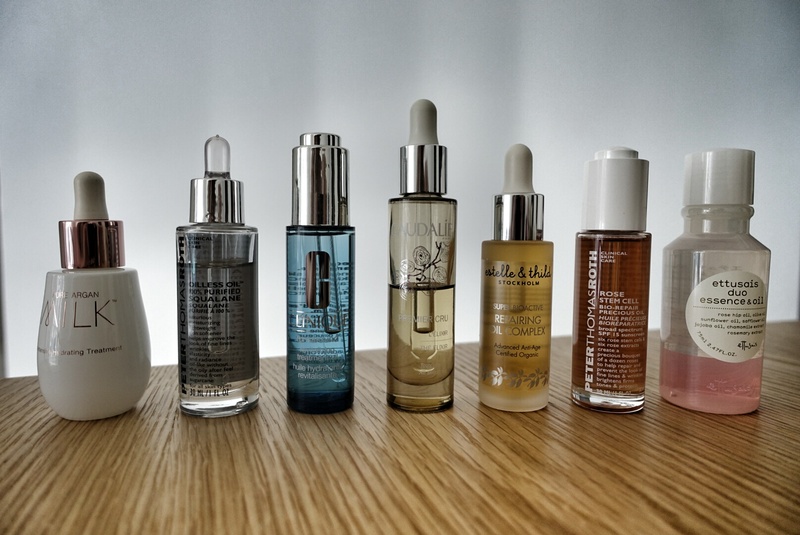 Josie Maran’s milky oil texture is interesting. Clinique Turnaround contains salicylic acid. Estelle & Thild’s Repairing Oil Complex is nourishing and has a heavenly floral scent. Caudalie evens out my skin tone overnight. Josh Rosebrook, Viridian and Alteya Organics are amazing. They are so rich and thick, but sinks easily into the skin. Fresh Elixir Ancienne is luxurious. Aveda’s Composition Oils can be used on the scalp and body. 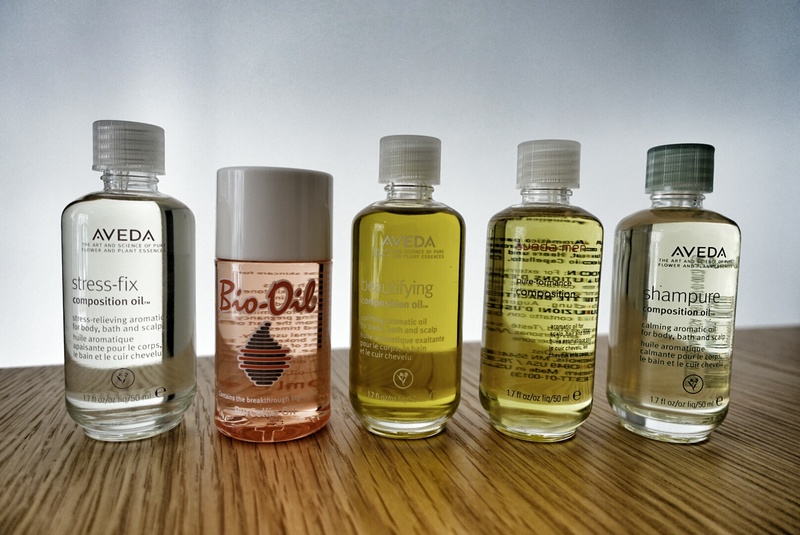 Bio-Oil, well, can be slathered on everywhere: hair, face, body, nails. 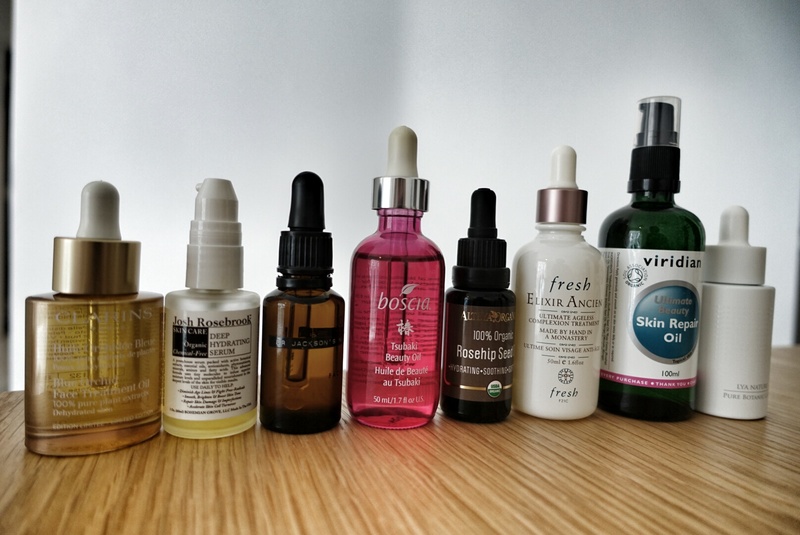 Which are some of your favourite oils? This is a great post! I love the variety of products and great pictures! 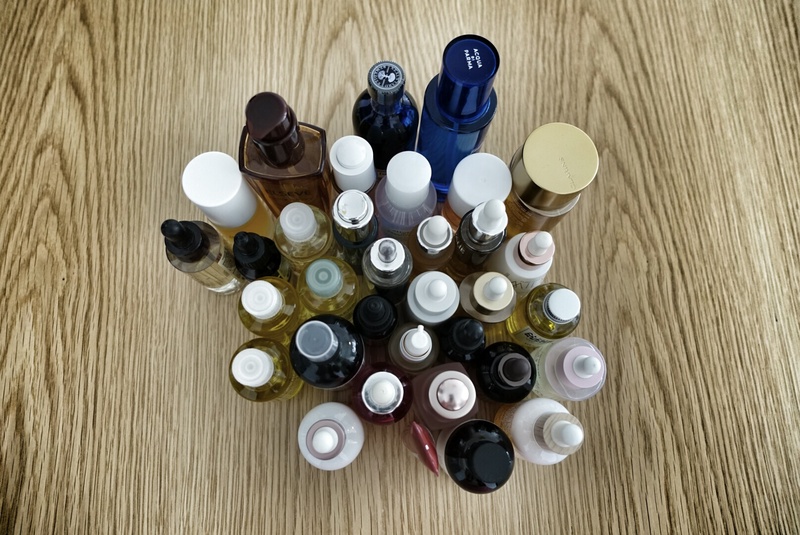 Wow, I envy your collection of oils! I really love the Clarins Lotus facial oil. But my collection is so tame compared to yours! 😃😃😃😃 hi tech oil … did u try sulwhasoo concentrate ginseng oil ! ?